If you use the Flat Rate Scheme, you can’t normally claim back the VAT you spend on capital assets you buy for your business. This is already taken into account in the flat rate percentage for your type of business. However, you may be able to claim back the VAT on certain asset purchases with a VAT-inclusive price of £2,000 or more. inniAccounts will automatically take care of the VAT for such purchases. You must however enter details of the asset as a single transaction, rather than individual items listed on your receipt. Take a look at our guide to see how to input your asset purchases. It must be a single purchase of capital goods with a VAT-inclusive price of £2,000 or more. That doesn’t mean you are restricted to claiming back the VAT on a single item – for example, you could buy a pizza oven, fridge and dishwasher, as long as you buy them at the same time from the same supplier and the price is more than £2,000 including VAT. It must be a purchase of capital goods, not services. Capital goods are goods you can use in the business but are not used up by it – for example, a van, computer or bottling machine are capital goods, but not the fuel, printer ink or bottles that go in them. A van leased or hired to you is a continuous supply of services, but one bought on hire purchase is considered a supply of capital goods. Software is not classed as an asset for VAT purposes as it is considered a service not a good. Software cannot therefore be included within the VAT inclusive price of £2,000 for capital assets. You can’t claim back VAT on goods that you intend to either resell, or incorporate into other goods to supply on to someone else. You can’t claim back VAT on goods that you will let, lease or hire out – for example, a bouncy castle. You can’t claim back VAT on goods that you intend to use up (consume) within a year. Building materials and work are not capital goods. You can’t claim back the VAT if you have building work done (even if it includes expenditure on materials), and you can’t claim back the VAT if you buy building materials yourself for someone else to build with. As long as all the other conditions are met, you can claim back all the VAT even if the goods will have some private use. For example, if you buy a van but employees are allowed free use at weekends to move private belongings, you can still claim back all the VAT. There is an upper limit on claims for certain items. If you buy something that falls within the Capital Goods Scheme you must write and tell HMRC and leave the Flat Rate Scheme immediately. Goods that fall within the Capital Goods Scheme are computers or items of computer equipment with a VAT-exclusive price of £50,000 or more, or land and buildings, civil engineering works and refurbishments with a VAT-exclusive value of £250,000 or more. When you are reviewing your VAT return before we file it, you can check to make sure the VAT on your asset purchase has been reclaimed. Normally in your calculations of VAT when using the Flat Rate Scheme, there is no input VAT shown in the calculations for your purchases. With a purchase of an asset over £2,000 you will see the input VAT listed. I am registered on the Flat Rate Scheme, I believe that I can claim some VAT back on a purchase that was over £2000, even though the item was part of an invoice, i.e. a van I bought was £1300 plus VAT but the total invoice was including insurance indemnity and service charges and a delivery charge. You can only reclaim the VAT under the Flat Rate VAT Scheme for capital assets purchased for use in the business where the total amount is more than £2,000, but this cannot include any payments made for services. Insurance, service charges and delivery charges are services provided for the business and not capital goods. Therefore, as the van you have purchased is the only capital item on the invoice, and the total paid for this was less than £2,000 including VAT, the VAT cannot be reclaimed. What counts as a single purchase? If for instance a single invoice contains a computer and a mobile phone, both for business use, and the total value on the invoice is greater than £2000, is this a single purchase? Can VAT be reclaimed on the purchase (even when registered for the Flat Rate VAT scheme) even if the mobile phone is not part of a computer package? As long as the assets are purchased at the same time from the same supplier and the total amount is more than £2,000 then yes, the VAT can be reclaimed even if you are on the Flat Rate Scheme. On the flat rate scheme, when claiming the VAT back on an asset over £2000 can you claim the full VAT amount back or just the % rate the business is on i.e. 11%. When claiming the VAT back on the purchase of assets it is the full amount at 20%, as per the invoice from the supplier, that you can reclaim even if you are on the Flat Rate Scheme. I have paid just over £3000 for my van to be repaired, can I claim the VAT back under the flat rate scheme? Unfortunately VAT can only be reclaimed on the purchase of Capital items when you are on the Flat Rate Scheme, not on repairs. We have a single purchase of the amount £2,871 (£2392.50 + VAT). We’re on the flat rate scheme for VAT. Please could you tell me how to fill in the VAT return appropriate to the purchase within that quarter? Normally, we have no entry in Box 4 or Box 7, but I’m assuming that we input £478.50 into Box 4 and £2,392.50 into Box 7? You can reclaim the VAT on this amount as long as the invoice was for a single purchase of capital goods. If this is the case then yes, the VAT amount of £478.50 should be included in box 4 and the net amount of £2,392.50 should be included in box 7 of the return. Can VAT be claimed back on purchases over £2000 bought prior to being VAT registered? Input VAT for goods on hand at the date of registration can be deducted if incurred within four years of the date of registration. The claim should be made on your first VAT return but if it wasn’t, you have four years from the date the first return was due to claim this. How do I reclaim vat on purchases on the flat rate scheme, i.e I have just bought a van outright for £25,045 inc of vat. Price exc vat was £20880.13 and vat on this purchase was £4165.04. do I still fill out boxes 1 and 6 as I normally would, the vat on the purchase in box 4, and the figure exc vat in box 7? Hi Leigh. Yes, you complete boxes 1, 3 and 6 as normal, enter the VAT amount you are reclaiming in box 4 and the net VAT amount in box 5. You then need to enter the net amount of the purchase in box 7. Where capital goods are bought with the intention of generating income from them, either directly or indirectly, then they are not capital expenditure goods no matter how much they cost. If you are purchasing a lot of goods it may be better for you to use the standard scheme for VAT rather than the Flat Rate scheme, your accountant should be able to advise. Will the VAT claimed back on a capital asset purchase be in the form of funds issued by HMRC or simply a paper transaction on the balance sheet? The input VAT claimed back on the purchase of assets over £2,000 is deducted from any output VAT calculated as payable on your VAT return. Just had the car park relaid in front of shop as it was in poor condition for customers. It was £2500 plus vat £500 can I claim the vat back. I am on the flat rate scheme. Relaying a car park is likely to be considered as a repair and therefore a revenue expense rather than capital by HMRC and on that basis the VAT could not be reclaimed under the flat rate scheme. However, the cost should then be deductible from your profit when calculating your tax payable. Do I have to wait until the VAT quarter to reclaim VAT on my new Taxi ? The refund would be useful in my cash flow against the deposit already paid out for the vehicle. You cannot submit your VAT Return for a different period to your quarter end but could try changing this at HMRC. However, please be warned, there is no logic to how HMRC change VAT periods and you could end up with a later period end than the one you already have. I want to start a Wedding car business. I’m now unsure of the VAT status.The limousine will cost me in the region of £87k. Will I be able to claim the VAT back on the price? Am I right in thinking if I rent it out for someone else to drive I cannot claim the VAT back but if I drive it myself I can claim the VAT back? VAT of £17.4k is a lot to take if I cant claim it back whilst simultaneously having to charge customers VAT. This is a tricky area of VAT and you may want to seek specialist advice. You can also refer to VAT notice 744a ‘’Passenger transport’’ for more details on this. What if there are multiple items i.e. if I’ve purchased 6 items @ £200 plus VAT @ 20% = £2,160 invoice amount. Will I be eligible to reclaim VAT? In this case will I be eligible to reclaim VAT? When recovering VAT on the flat rate scheme HMRC will only allow recovery of VAT on assets over £2,000 inclusive of VAT. HMRC will allow the recovery of VAT on multiple items purchased at the same time from the same supplier for example buying a computer package consisting of Computer, printer, camera, scanner, speakers etc. When the purchase of an asset has an element of service charge if this would be capitalised along with the asset under the capital assets rules then the purchase would be over £2,000 and qualify for VAT recovery. If the service charge needs to be expensed to the profit and loss under reporting requirements then the asset would not exceed £2,000 and VAT would not be recoverable. Hi, I am intending to refurbish a swimming pool at the rear of my house, and then hire to a firm which teaches children to swim. I am intending to register for vat to recover input tax on capital set up (refurbishment), and will charge output tax on the sales. Can I recover vat on these refurbishment costs , and if I use the pool for limited private use what would be the consequence ? When converting an element of your residential property for business purposes and claiming tax reliefs on the work completed this is likely to result in part of your property being reclassified as a business premise. In order to understand this you would need to speak with your Architect and I suspect your local council also. Should part of your property be reclassified for business purposes it means that you will have to consider matters including: business rates, business insurance, and public liability insurance. There is also a future complication when you come to sell your property. As part of the property would be classified as a business premises, there are likely to be additional and not insignificant costs and potentially taxes associated with the sale of your property. For these reasons most people prefer to keep their home their own and pay for such developments and upkeep personally. If the pool is refurbished personally and you declare the rental income for the pool then any personal use may not be considered for taxation purposes. I am designing an extension to a medical practice and will be managing the building contract, which will be subject to 20% VAT on all the works. Can the owners of the building/practice claim any of the VAT back on the extension works? Your client’s ability to claim back any VAT would be dependent on their VAT status. If i pay over 2k in a single transaction for 2 hardware items using Amazon but the items are delivered by different merchants that sell through amazon. Does that count as purchased from the same merchant (Amazon) and therefore can claim the VAT back, or the fact that differnet merchants within Amazon have sold those items, makes it inelligible to reclaim the VAT back? The restriction on reclaiming VAT to assets only over £2,000, is applied if you are on the flat rate scheme for VAT. If you use the Flat Rate Scheme, you can reclaim the VAT you have been charged on a single purchase of capital expenditure goods where the amount of the purchase, including VAT, is £2,000 or more. In order to qualify for VAT recovery the items would need to be from the same supplier and purchased at the same time. If you are invoiced from amazon for these items on a single invoice this could be considered recoverable but if each supplier invoices you separately then VAT would not be recoverable. Hello! We’ve recently leased a new office for our property lettings business and bought new wood flooring, security door, lights and kitchen units (inc fridge) from a building supplies company. Total cost was £4,500 inc VAT (all on one invoice). Are we able to claim back the VAT on these items under the FRS? We understand the fitting costs (arranged separately) will not be claimable as these are services. As the items could be considered fixture and fittings for the newly leased office, these can be considered capital in nature. If the purchase was on the day from one supplier then these can be considered a group purchase and qualify for VAT recovery due to being over the £2,000 limit. I have purchased an asset for £9995 plus vat. 50% payable now and then the remainder in 12 instalments of £499.75. Is it only the initial 50% that is classed as a single purchase exceeding £2000 and not the subsequent instalments. VAT recovery would be dependent on the nature of the asset and the purchasing agreement type. If the asset qualifies for VAT recovery i.e not a car and transfer of ownership occurs then the VAT would be recoverable on the whole amount. If transfer of ownership does not occur then the VAT recovery will be based on repayments as this would be a lease agreement. If the van has been purchased on a finance lease you can usually reclaim the VAT on the purchase cost if you only use it for business. If the van is being leased as an operating lease then you can usually reclaim the VAT on the monthly lease payments if you only use if for business. You should receive invoices from the lease company which itemises the VAT element of the monthly lease payments. If your input VAT exceeds your output VAT on any given VAT quarter HMRC will issue a VAT repayment. Does it matter if the purchase was paid using a personal account with the intention that the business will repay this amount to that personal account? If an officer or employee has purchased assets wholly and exclusively for business use then VAT could be recoverable. You would still need to provide a VAT receipt for your records. If the invoice has been made out with your personal details instead of the companies then HMRC may consider it to be a personal transaction and VAT would not be recoverable. Hi, can the VAT claim on capital assets over £2000 be used more that once? i.e. if I claim the VAT on a computer purchase (over £2000), can I subsequently make the claim again on another asset purchased (over £2000) made on a separate occasion? The VAT recovery for assets over £2,000 while on the flat rate scheme is per purchase so if both transactions are vatable, wholly and exclusively for the purposes of business, then these would be allowable. Hi. My vehicle was damaged while parked at the kerbside. There is significant damage, which I estimate will cost circa £2500 to repair. I have the details of the person who admits total liability for the incident. I am Flat Rated for VAT. Today, I rang my insurer. They tell me that I am liable for the VAT element of the repair and further tell me that I can claim the VAT element back from HMRC. I am dumbstruck and haven’t completed the claim yet. Having read this thread, I saw a response that informs this type of cost would not be capital expenditure and therefore, even if were responsible for the accident, I could not reclaim the VAT element. That aside, I feel there is something more fundamental and that is that the insurance company who will pay the bill, will be VAT registered themselves and it is they who should claim the VAT back, if allowable. Q: is my understanding correct, or am I looking at a ridiculous scenario in which I might end up paying £400 to £500 just to have my vehicle returned to the condition it was before somebody damaged it? As you are the Flat Rate Scheme you would not be able to reclaim the VAT as the repair costs would not be considered a capital expense. Unfortunately we cannot advise on how the insurance company processes the repair costs however it might be worth contacting them to let them know that you cannot reclaim the VAT element of the costs to see if anything can be done to ensure that you are not out of pocket. Hi, I am self employed and VAT registered (Flat Scheme).Can I claim VAT on a business car leasing contract – dealer told me something up to 50% of VAT. the car will be used -60% in business and 40% personal use. If yes, is this based on their monthly invoice? As you are only leasing the vehicle and you are reporting VAT under the flat rate scheme no VAT would be recoverable. As the car does not transfer in ownership to you and can not be classified as a capital asset. I am refurbishing my salon can I claim the VAT back for styling stations, cupboards and display units purchased from one supplier? If you are a VAT Registered business on the standard VAT scheme then you can reclaim the input VAT on your business expenses. The restriction on reclaiming VAT to assets only over £2,000, is applied if you are on the Flat Rate Scheme for VAT. If you use the Flat Rate Scheme, you can reclaim the VAT you have been charged on a single purchase of capital expenditure goods where the amount of the purchase, including VAT, is £2,000 or more. In order to qualify for VAT recovery the items would need to be from the same supplier and purchased at the same time. on Flat-Rate VAT scheme, could I claim VAT back a laptop purchase over £2k but that is going to be paid in instalments? If the transfer of ownership occurs and you have a sales receipt for the total value of the asset and this is over £2K then the VAT would be recoverable. If you receive monthly leasing invoices which show VAT then these are non recoverable. Hi, if i purchase a HGV at £80,000.00 plus VAT so 96,000.00, can i claim the £16,000 VAT back, the HGV would be financed with all the Vat being payable plus 5% of the £80,000, if i can, would this be repaid as a lump sum after the VAT quarter, or is it deducted from future VAT payable? also i may need to finance on a personal finance agreement as my LTD company may not have the ability to get credit would this be possible? When buying a commercial vehicle for a limited company the VAT is recoverable at the time of purchase when the asset ownership is transferred from the seller to your limited company. If you only lease the HGV then VAT will only be recoverable when you make each monthly lease payment. If the purchase of the HGV creates a VAT refund for the quarter this will be repaid to your limited company once the return has been processed. It does not usually get stored up against future VAT liabilities unless HMRC do not have the information required to make the refund. When using personal finance to cover the purchase of a company asset always ensure that the owner of the asset is the limited company. Any interest the limited company pays to you will need to be recorded on your self assessment tax return and be offset by the interest you pay to the finance company. At inniAccounts we work closely with our clients and ensure their setups are efficient and hassle free so when considering such a large purchase our clients have the confidence to know the VAT refund will be issued hassle free. If an equipment is being paid through a lease contract, can i claim the input vat before or after the lease agreement ends? If the lease agreement transfers the ownership of the asset to you, then you have purchased the asset on finance. In this instance the VAT will be recoverable in whole generally at the start of the agreement. If on flat rate VAT then the asset would need to be valued in excess of £2,000. If the asset ownership does not transfer then you are only borrowing the asset on a temporary basis from the lessor. In this case any VAT would be recoverable on the monthly payments and you should be receiving invoices for this. If you are on the flat rate VAT scheme then no VAT would be recoverable as you have not taken ownership of the asset. 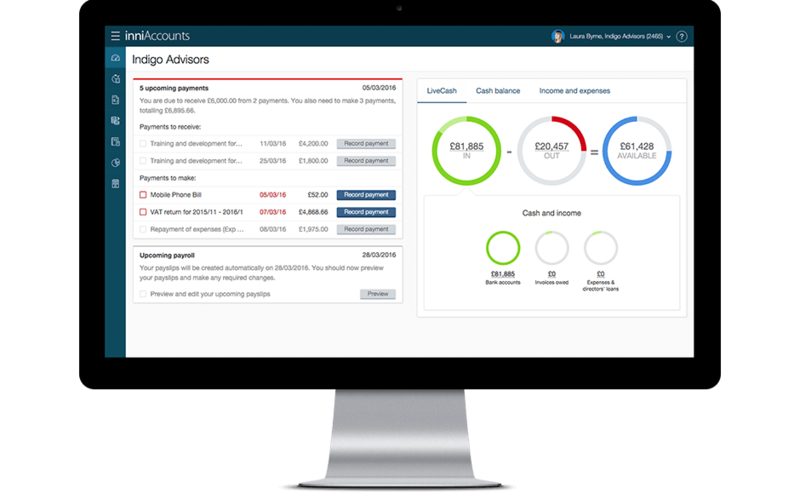 At inniAccounts our custom made software will take account of your VAT settings and process the correct VAT recovery based on your circumstances. If you are using the Flat Rate Scheme for VAT you will be able to reclaim the input VAT on both the van and the computer provided they are used primarily for business use. As these assets including VAT are over £2,000 each and therefore qualify for VAT recovery. Can the goods purchased be completely unrelated, ie a phone, a computer, office furniture etc? Does it matter if the phone is for personal use as well? When purchasing grouped assets to exceed the £2,000 in order to recover VAT these need to be purchased from the same supplier at the same time. Well we are operating in the transport sector, so can we reclaim “vehicle costs”? The relevant goods issue is around being considered a limited cost business and having to apply the flat rate of 16.5%. As a taxi company your fuel costs and vehicle repairs relate to your trade so generally, you will remain on your appropriate flat rate percentage. The ability to recover VAT on capital assets remains the same and can only be done on purchases in excess of £2,000. A capital asset would, for example, be a ramp system to repair taxis. This is a grey area however generally, repairs of any nature would not be allowable for VAT relief if your colleague is using the Flat Rate Scheme for VAT. I have purchased items from Apple online totalling over £2000 including VAT. However, they have dispatched them separately and they are showing separate invoices based on dispatch dates rather than one all encompassing invoice. The order number is all the same, however, so it was purchased at the same time from the same supplier. Can VAT be reclaimed on this under the flat rate scheme? If the assets are purchased at the same time and this can be evidenced then HMRC allow for the recovery of VAT. Generally, these assets should be related such as a computer, monitor and peripherals for that computer. If a limited company purchase a car by paying lum sum and this car is for the director who will report it as a benefit on his tax return, Can company claim back VAT paid on this car under Flate rate scheme. Unfortunately VAT is not a recoverable amount for company cars if there is an element of private use. i have been trading for several years as a self employed contractor operating through a limited company and registered under the Flat rate scheme. Due to a back injury i have been unable to work over the last 6 months, therefor having no sales. I have just purchased capital items over the value of £2000. In this situation, i presume I would be due a vat refund from HMRC, how do i treat this? can this refund value be carried forward to future VAT returns and offset against VAT due to HMRC? When reporting a VAT return with a refund status to HMRC generally they will repay the amount straight to the business bank account if they have the bank details. If HMRC can not process the refund then the amount will remain on account with HMRC to be used against future VAT liabilities. If you require any clarification it is best to ring HMRC directly. I am on the flat rate scheme. I have installed a grid system to create a surface for cars to drive over at my business premises where there was only a rough stone surface before. Cost £5k including VAT. Can I reclaim the VAT on the grid system? If the drive improvements have been made wholly and exclusively for the purposes of the business then these could potentially be considered a repair of premises. As such if the cost is a repair it would not qualify as an asset for recovering the VAT. You would need to ensure the drive improvements qualified as an asset and not a repair in order for VAT to be recoverable. Hi, according to the VAT Notice 733, section 7.6 (see link below), it’s stated that all VAT paid before registration on goods and services can be claimed on the first return. My question is, does the £2000 threshold apply? or can any amount be claimed? for example, can the vat element of a £120 invoice be claimed i.e. £20? Thank you for your time and amazing responses, i can see above. I have a couple of questions about backdated claims for Capital Expeditures under the FRS scheme. For example if I bought a PC costing over £2000 a year ago, am I able to put the claim through for it now? is there a time limit for claiming capital expenditures? Also, if I’ve bought them on a payment scheme e.g. 4 instalments in the year, would I be expected to claim back for the payments made in each quarter if using the FRS Cash Based Turnover Method? HMRC have time limits on recovery of VAT on purchases prior to registration. If you still have the equipment in the business then you can go back 4 years for goods. If it has been sold VAT cannot be recovered. These claims should be processed on the first VAT return once registered. However, HMRC allows corrections to be reported on your next VAT return if the net value of the error is £10,000 or less, anything above this needs to be reported to HMRC on a separate form. When buying assets on finance as long as the transfer of ownership is completed then the entire cost of the asset is used for VAT purposes. The cash repayments are loan transactions and should be reported as payments against the creditor who provided the finance. Can the purchase of a vehicle whilst on FRS be classed as goods to qualify for the flat rate percentage. For example a sole proprietor of a taxi vehicle company purchases a vehicle for £1800, the quarterly turnover is £75305 ( inc of 20% vat) 2% of which is £1506. b) does the test in order to qualify for the sector rate need to include only goods purchased with vat? As the cars are considered capital expenditure these would not be considered goods towards the limited cost trader status. As you will be running a taxi company then the vehicle running costs would count towards this, such as fuel. Services will not be considered towards the limited cost trader status for example car insurance. VAT corrections can be made on the next VAT return as long as the error is under £10,000. You can therefore reclaim all of the input VAT on the value of the cars above £2,000 on your next VAT return. In regards to the Flat Rate Scheme, to qualify for input VAT relief on asset purchases the assets must have been purchased on one single receipt. As you bought the equipment on separate occasions this would not qualify however as you are not yet registered for VAT you would be able to claim input VAT on all pre-registration expenses on the first VAT return even if you opt to join the Flat Rate Scheme from the date of registration.